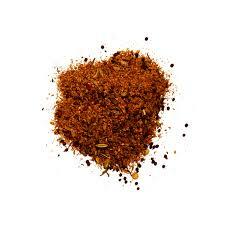 From merely hot to incendiary, this Caribbean jerk seasoning gets its kick from a blend of ingredients such as chilies, thyme, cinnamon, garlic, and nutmeg. Sprinkle on meat or vegetables. Contains: Raw sugar, All Spice, Salt, onion powder, black Peppercorns, dried parsley, dried Thyme, Cinnamon, Cayenne pepper, lime powder, celery seeds, ground cloves. Blended by Equagold from imported products. Store in cool dark place. 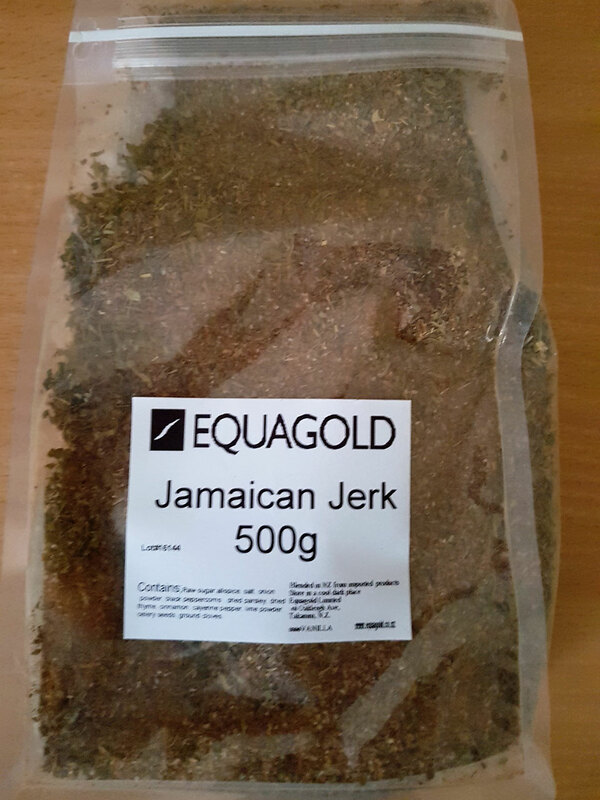 Available by 100g and 500g. Please select from the drop down menu.